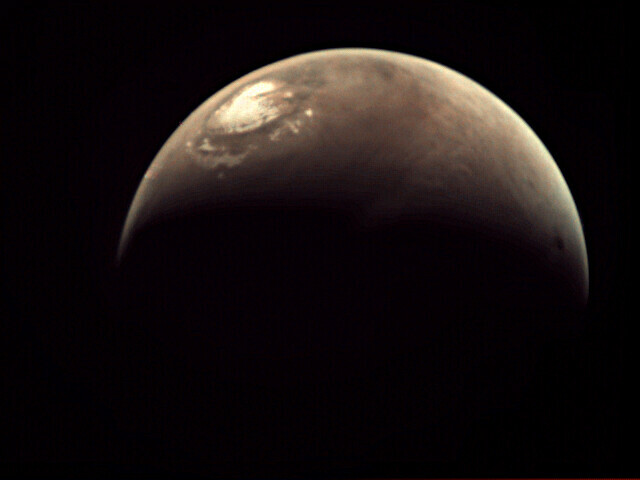 This is the first image of Mars to be acquired by the VMC camera on board Mars Express since the spacecraft was recovered from a major system fault in autumn 2011. This test image was acquired on 6 May 2012 at 00:45:28 UT. The VMC is now being recommissioned and tested, and is expected to be back in routine service by mid-2012. WOW AND I EVEN REMEMBER THE FIRST LANDING ON THE MOON WHAT A FEAT ..